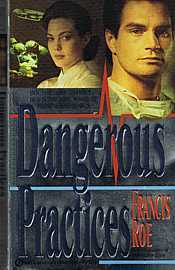 Dr. Anselm Harris is a dedicated surgeon thrust into a malpractice suit when a powerful politician mysteriously dies after a daring operation. Valerie Morse is the feisty lawyer hired to clear his name with a terrified medical community desperate to find a scapegoat. But as they join forces to fight a smokescreen of vicious lies and betrayals, Anselm and Valerie get caught up in their growing feelings for each other - feelings that could distract them from the deadly game played by their enemies. Sweeping from the high drama of the operating room to the dark comers of political intrigue and the secret passions of the heart, this gripping novel about doctors and lawyers, medical secrets and legal manipulations will keep you turning pages until its last shocking revelations.. ..